With two doors and a much sportier attitude than the sedan, the 2010 Altima Coupe is a boldly-styled vehicle for those who want to get noticed. The reasonable price certainly doesn't hurt, either. I have been happy overall with this vehicle. The transmission never feels fully right. It feels like somethings wrong. Certain rumbling or vibrations that make me feel uncertain. Sometimes I cannot tell if it is the motor or the transmission? The armrests are made of really cheap materials. . . The cushion. It flattened out in a matter of months. And you can't replace just the arm rest. . . You have to buy the whole door panel. That is not right. People that are buying the low end car can't afford to replace a door panel. But it shouldn't be an issue anyway. The cushion material in the arm rest should not have degraded that fast. Overall it has not given me any problems that were not connected to the dealership I bought it from. The only other issue I have is the push button Start. There's no secondary way to start the car. 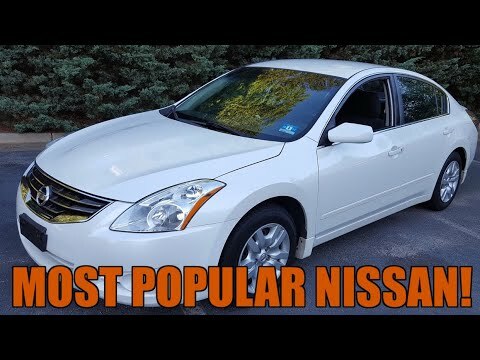 Nissan Altima are great cars. To begin with I have an Nissan Altima 2. 5 it's been a great car since I have it. Nissan’s do not spent too much gas. They are also very comfortable cars in my opinion. My car is color gray and the color looks so nice since I buy it. Now is getting a little bit old giving me some problems but I have drive it a long way. I had go to Orlando to San Augustine and other different places. It has a great capacity the motor has work good until a couple of day that has giving problems but I had fix it and its working well. I always take it to the oil change and when you do it you see a big difference in it. Taking care of yours cars is very important so you have it a long way like me. DEALERS WILL INSPECT AND IF NECESSARY REPAIR FREE OF CHARGE. THE MANUFACTURER HAS NOT YET PROVIDED AN OWNER NOTIFICATION SCHEDULE. OWNERS MAY CONTACT NISSAN AT 1-800-647-7261.